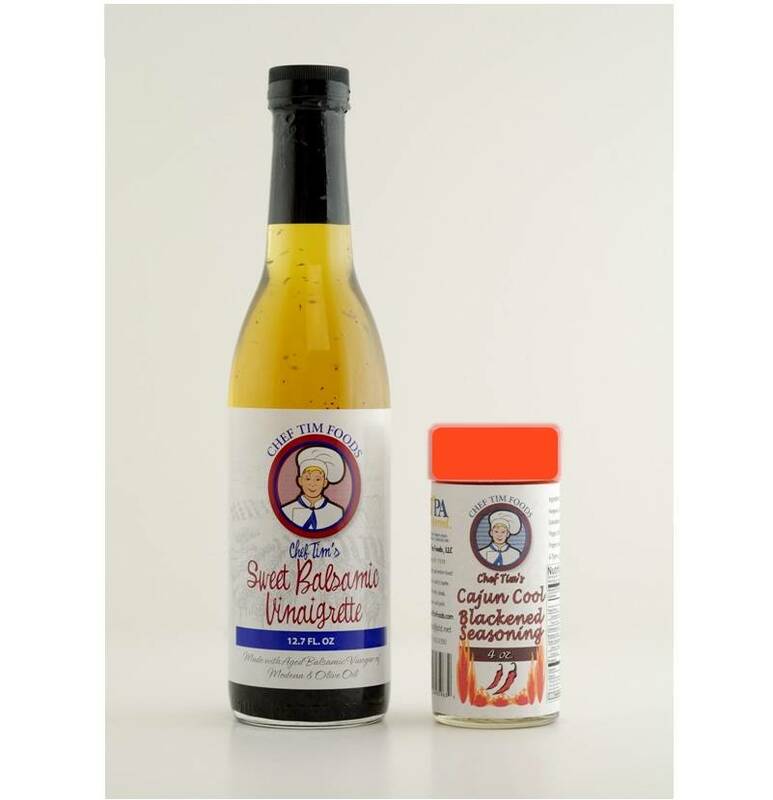 Save $1 when you purchase both a Vinaigrette & a Seasoning together. Get 1 Small (12.7oz Sweet Balsamic Vinaigrette and 1 Cajun Cool Blackened Seasoning) for $1 off. 1 Chef Tim's Cajun Cool Blackened Seasoning - A delightfully mild (4 out of 10) Cajun seasoning that tantalizes the senses, but doesn't burn you. Spicy but not hot. Both Hungarian sweet and Spanish smoked paprika with black, white, and red pepper. Includes kosher salt, granulated garlic, onion and thyme.